3- Press the record button (see 4). This turns-on the microphones, but does not start recording. 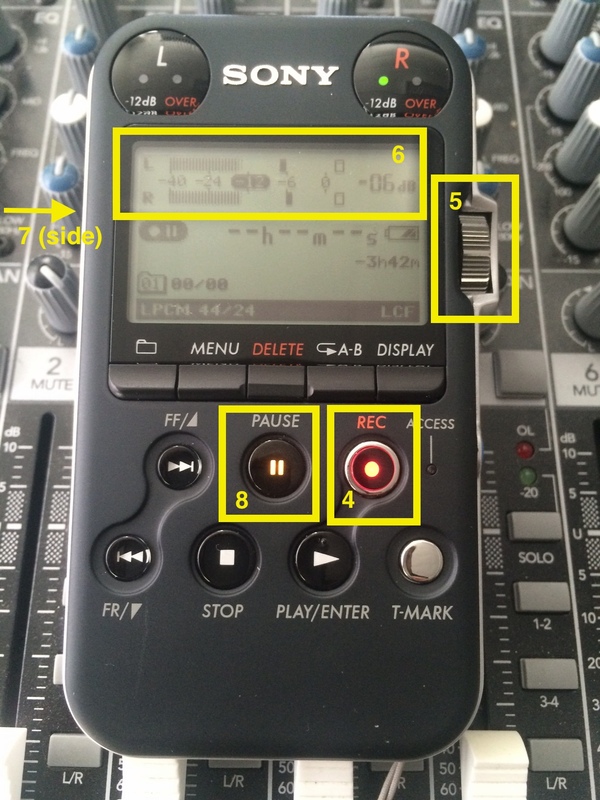 4- Point the recorder at the source you're trying to record. 4- SET YOUR LEVELS! Look at the meters (see 6) and adjust the "Record Level" dial (see 5) until the loudest parts of what you're trying to record hits -6dB. Avoid clipping as much as possible (i.e., you should never see the "Over" indicators to the right of the meters). If you need the mic to be more sensitive, set the "MIC SENS (ATT)" to "HI" (see 3). Conversely, if the microphones are too sensitive (i.e., you're almost always clipping), set the "MIC SEND (ATT)" to "LOW". 8- Press the "Pause" button. (see 8) This starts recording. You will see the time indicator start to count up. 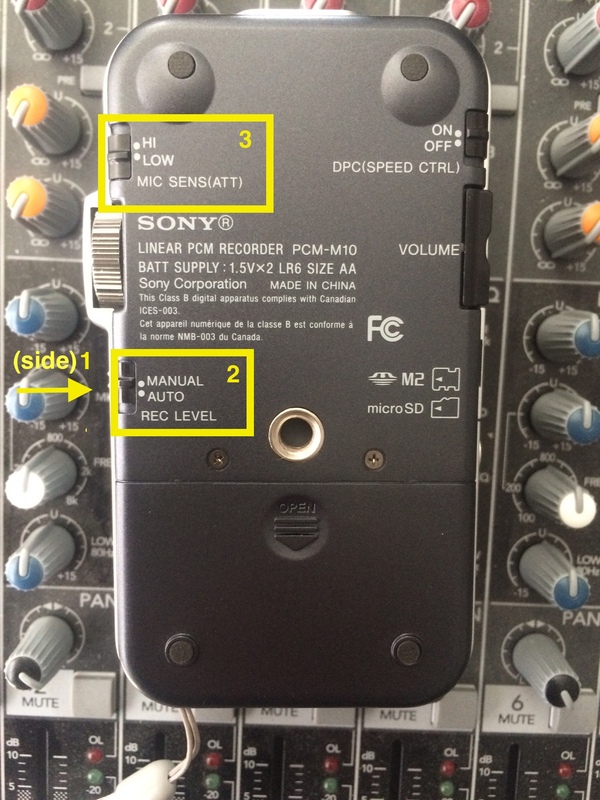 10- To transfer to the computer, plug the USB cable into the Sony recorder and into the computer. The recorder will appear on the computer as a hard drive named "Sony Recorder". Double click on it and look for your audio files in the "Folder001" folder; your files will be the last ones in the folder. Click and drag your files to the location of your choice on the computer.